In two weeks time, on the 15th and 16th of February, a major Conference about Basic Income will be held in Lisbon, Portugal. This is the first event of its kind in Portuguese territory, with this magnitude, organized by Grupo de Estudos Políticos, the political party PAN (Pessoas, Animais e Natureza), Movimento Rendimento Básico Incondicional – Portugal, Grupo de Teoria Política – CEHUM, and IHC (Instituto de História Contemporânea). 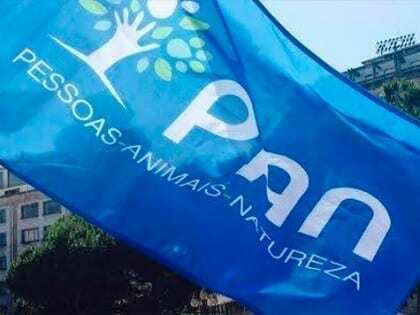 This initiative stemmed from PAN’s own ranks, after having elected its first congressman ever onto Portuguese Parliament. Basic Income was part of the party electoral programs since 2011, it was time to get it out in the open and push forward its public discussion through this conference. For that ending, PAN forged alliances with Basic Income activists in Portugal, namely through Movimento Rendimento Básico – Portugal, and political research groups such as Grupo de Estudos Políticos, Grupo de Teoria Política – CESUM and IHC. Earlier last year, PAN had already organized a brief forum on Basic Income, featuring Roberto Merrill and Pedro Teixeira as speakers. However, this event failed to spark enough attention to kickstart public discussion. That did not discourage the party’s activists, who take the Basic Income concept to heart. So that will to promote a wider public discussion on the Basic Income issue has developed into a solid organization. Now, that purpose is clearer and many others have joined in, such as international activists and researchers Sjir Hoeijmakers and Jurgen De Wispelaere, who will bring fresh last-minute information and insights on Dutch and Finnish Basic Income situations, and contribute with frameworks on the politics and sociological aspects of Basic Income. Portuguese activists will also be present as speakers, such as Miguel Horta and António Dores, the former presenting and explaining a possible financing scheme for Basic Income implementation in Portugal, and the latter exploring the sociological issues around Basic Income in Portugal. Other authors and activists like André Barata, Renato Miguel do Carmo and José Neves will also participate. International experiences on Basic Income will also be referred and discussed, by André Coelho and Dario Figueira. André, editor of Basic Income News presents BIEN and a general overview on Basic Income activism worldwide, while Dario, a member of Movimento Rendimento Básico – Portugal with connections to Brazil, will present the Brazilian experience of the Recivitas Project. A few other interventions are scheduled, namely from civil society organizations such as labor unions, social development associations (Oikos) and catholic church related groups (Liga Operária Católica). On the 15th, the conference will be held at the Portuguese Parliament, where representatives from other political parties will be present. Only socialists in power PS and leftists Bloco de Esquerda have accepted the challenge so far, remaining in silence all other leftwing and rightwing parties, such as PCP (communist party), CDS-PP (rightwing liberals) and PSD (rightwing social democrats). Here, presentations and discussions will be framed more as a meeting, to favor closer exchange and interaction. Next day, conference sessions will take place at Faculdade de Ciências Sociais e Humanas, in a more typical conference arrangement, with several speakers and moderators conducting the flow of information and interaction with the audience. Movimento Rendimento Básico – Portugal website. Political party PAN – political priorities.